One in nine people age 65 and older has Alzheimer’s disease. And almost two-thirds of them are women. It is estimated that a total of 5.4 million Americans are living with Alzheimer’s disease today. These numbers are predicted to escalate rapidly as the baby boom generation reaches age 65 and beyond. By 2050, the number of people age 65 and older with Alzheimer’s disease may nearly triple, from 5.2 million to a projected 13.8 million, barring the development of medical breakthroughs to prevent or cure the disease. Previous estimates based on high range projections of population growth provided by the U.S. Census suggest that this number may be as high as 16 million. Alzheimer’s disease is currently ranked as the sixth leading cause of death in the U.S., but recent estimates indicate that the disorder may rank third, just behind heart disease and cancer, as a cause of death for older people. Dementia is the loss of cognitive functioning—thinking, remembering and reasoning—and behavioral abilities to such an extent that it interferes with a person’s daily life and activities. An estimated 5.4 million Americans of all ages have Alzheimer’s disease in 2016. An estimated 5.2 million are age 65 and older, and approximately 200,000 individuals are under age 65 (younger-onset Alzheimer’s). Almost two-thirds of Americans with Alzheimer’s are women. Of the 5.4 million people age 65 and older with Alzheimer’s in the U.S., 3.3 million are women and 1.9 million are men. The number of Americans with Alzheimer’s disease and other dementias grow each year as the size and proportion of the U.S. population age 65 and older continue to increase. By 2050, the number of people age 65 and older with Alzheimer’s disease may nearly triple, from 5.2 million to a projected 13.8 million, barring the development of medical breakthroughs to prevent or cure the disease. 61 percent of those with Alzheimer’s are expected to die before age 80 compared with 30 percent of those without Alzheimer’s. Alzheimer’s is the only disease among the top 10 causes of death in America that cannot be prevented, cured or even slowed. In 2015, caregivers of people with Alzheimer’s and other dementias provided an estimated 18.1 billion hours of unpaid assistance, a contribution to the nation valued at $221.3 billion. 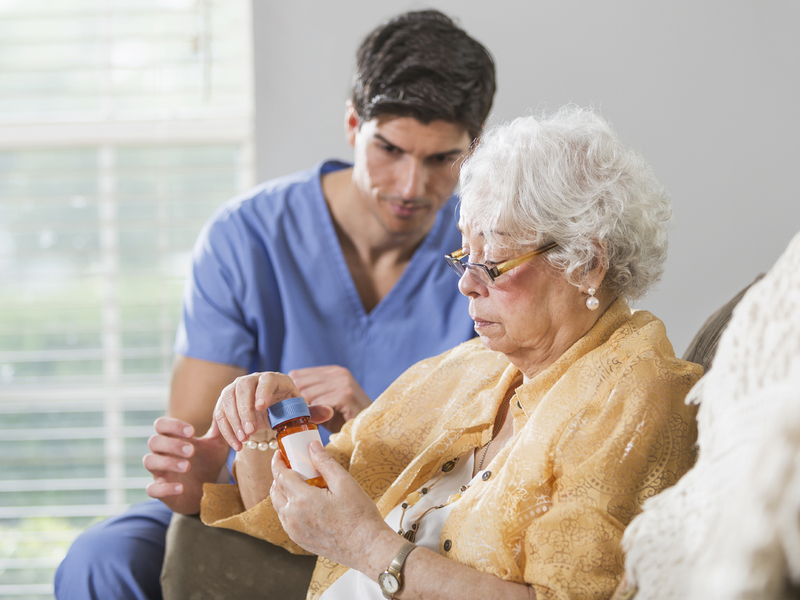 About one in three caregivers is age 65 or older. Approximately two-thirds of caregivers are women. More specifically, over one-third of dementia caregivers are daughters. Alzheimer’s takes a devastating toll on caregivers. Nearly 60 percent of Alzheimer’s and dementia caregivers rate the emotional stress of caregiving as high or very high; about 40 percent suffer from depression. The physical and emotional impact of dementia caregiving is estimated to have resulted in $10.2 billion in health care costs in the United States in 2015. Total payments for health care, long-term care and hospice are estimated to be $236 billion in 2016 for people with Alzheimer’s disease and other dementias. Medicare and Medicaid are expected to cover only 68 percent of the total health care and long-term care payments for people with Alzheimer’s disease and other dementias. Unless something is done, in 2050, Alzheimer’s is projected to cost over $1.1 trillion (in 2016 dollars). 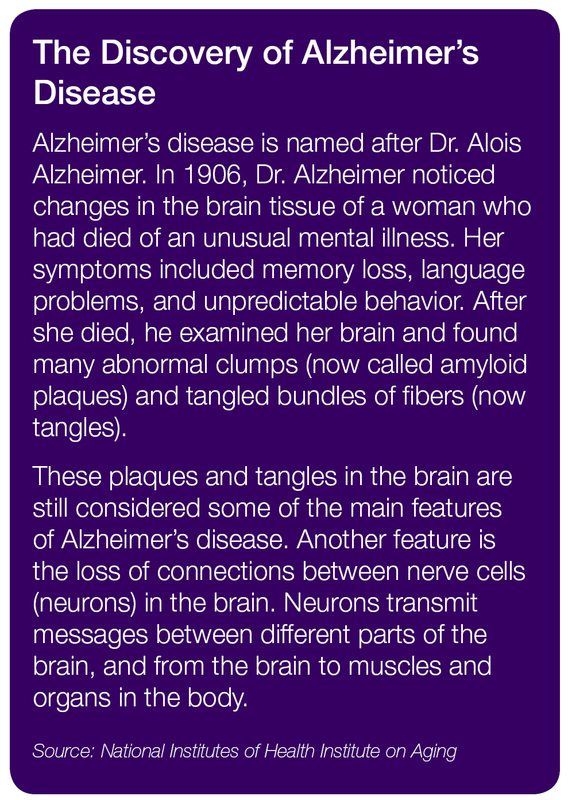 Wellness Wednesday: What is Alzheimer’s? 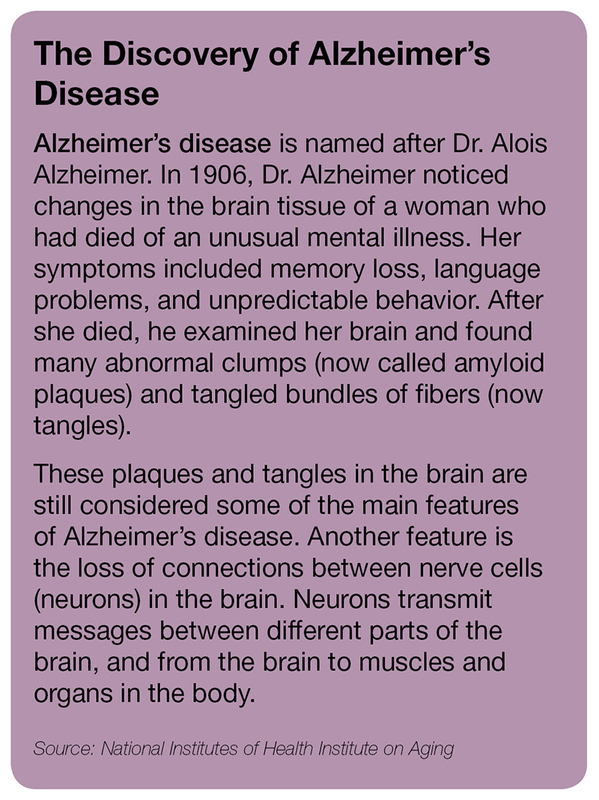 An estimated 5.3 million Americans of all ages have Alzheimer’s disease in 2015. An estimated 5.1 million are age 65 and older, and approximately 200,000 individuals are under age 65 (younger-onset Alzheimer’s). Almost two-thirds of Americans with Alzheimer’s are women. Of the 5.1 million people age 65 and older with Alzheimer’s in the U.S., 3.2 million are women and 1.9 million are men. The number of Americans with Alzheimer’s disease and other dementias will grow each year as the size and proportion of the U.S. population age 65 and older continue to increase. By 2025, the number of people age 65 and older with Alzheimer’s disease is estimated to reach 7.1 million—a 40 percent increase from 2015. By 2050, the number of people age 65 and older with Alzheimer’s disease may nearly triple, from 5.1 million to a projected 13.8 million, barring the development of medical breakthroughs to prevent or cure the disease. In 2015, an estimated 700,000 people in the U.S. age 65 and older will die with Alzheimer’s. In 2014, friends and family of people with Alzheimer’s and other dementias provided an estimated 17.9 billion hours of unpaid care. In 2015, the direct costs of caring for those with Alzheimer’s will total an estimated $226 billion, with half of the costs borne by Medicare. Unless something is done, in 2050, Alzheimer’s is projected to cost over $1.1 trillion (in 2015 dollars).